On our last visit to Nashville, we somewhat unexpectedly stumbled across the Olive & Sinclair Chocolate Co. Talk about a happy accident. When we walked in the doors, we were warmly greeted by two of the shop’s team members who were quick to give us some information on the company and the building in which we were now standing. 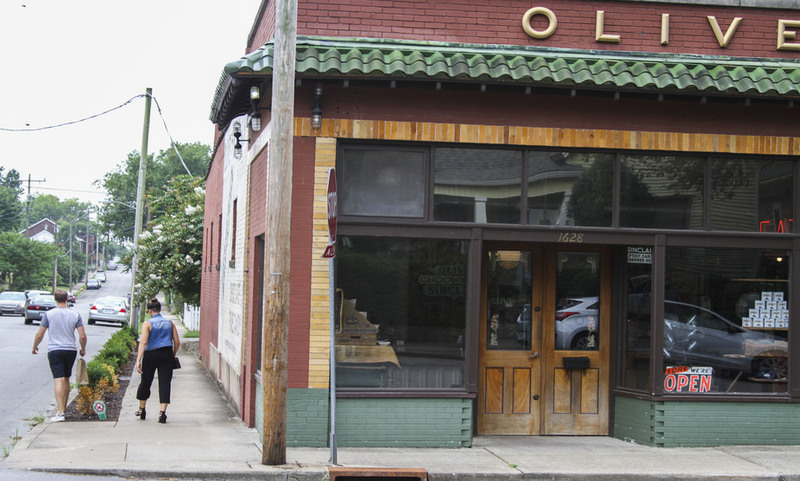 Although Olive & Sinclair was founded in 2007, it didn’t find its current home at 1628 Fatherland Street until the fall of 2014. The owners knew they wanted a building that told a story, and boy, did they find one. The storefront on Fatherland began in 1890 as an H.G. Hill Grocery Store, serving Nashville and the surrounding neighborhood for many decades before being occupied by the Archway Cookie Company. Both the exterior and interior are charming, but it’s the decadent smell of homemade chocolate that truly draws you in. Known as Tennessee’s first and only bean-to-bar chocolate company, Olive & Sinclair chocolate begins with stone-grinding cacao, inspired by the method used for stone ground grits which used melangeurs (stone mills) from the early 1900s. By adding pure cane brown sugar for a robust flavor and slow sweetness, they’ve created a chocolate creation known as Southern Artisan Chocolate™. 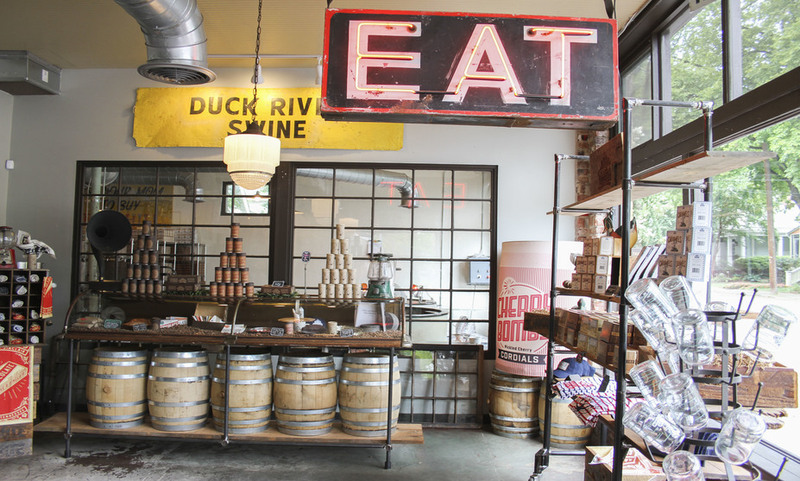 While you peruse through the shop, you’ll see varying flavors of chocolate bars, merchandise for sale and a large glass window with views into the factory. We highly recommend a factory tour for two main reasons: 1) they’re incredibly passionate about what they do, and 2) FREE SAMPLES. If you haven’t been to the store, yet, you should get there as soon as you possibly can. It really is that good. Tours are offered on Saturdays only (with some exceptions) from 10am- 5pm. Each tour begins on the hour and lasts approximately 30-40 minutes. Tickets are only $5 per person and include samples, as well as a complimentary hairnet, of course. For more information or to book yours, visit www.oliveandsinclair.com/factory-tours.